Bangalore. We are very happy to inform you that after participating the youth pro workshop on 25th July we were inspired from you to promote ‘positivity’ everywhere. So, we came up with a group in our college called ATHMA which is an acronym for Assistance and Training for Health and Mental Awareness. 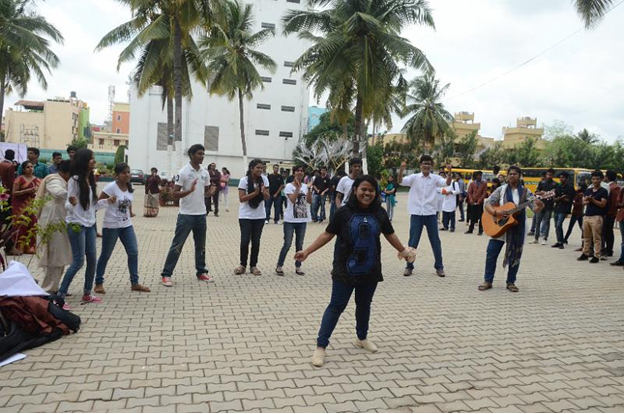 As a part of the group activities we conducted a street play regarding Suicide Prevention on 10th Sep on International Suicide Prevention Day. 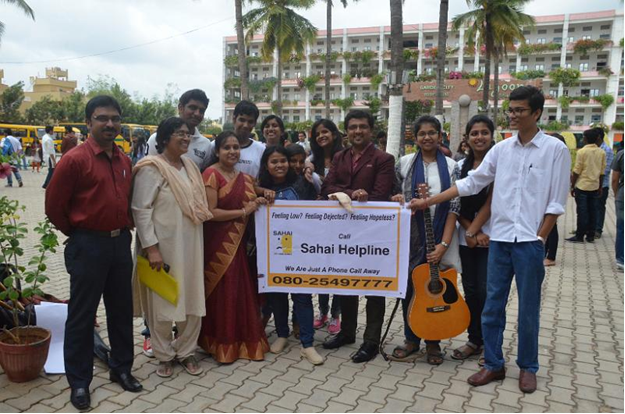 We also tried to promote SAHAI Helpline number. We also talked to them and they are going to conduct a lecture on positive mental health very soon. We are really enjoying the spreading of positivity everywhere! We also published a special edition in our college newsletter (GCC Elan ) regarding Suicide Prevention on 9-9-2015. All the articles were written by the ATHMA members.